Find fun things to do, real estate updates and general need-to-know Colorado news on my blog! Red Rocks Park and Amphitheatre is an amazing venue and a big selling point for those searching for real estate near Golden. Who wouldn't want to live near the beautiful red rocks and have access to amazing concerts featuring world class artists? Enjoy having access to the park anytime by owning real estate near Golden and wow your out of town guests with the beauty and uniqueness of the venue. 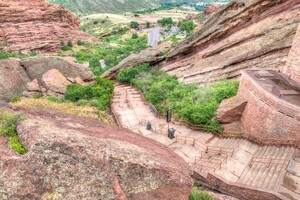 Red Rocks Visitor Center offers tours daily at 10:00 am from June 1st through October 1st. Come on out to learn about the geologic and musical history of this amazing place. This summer will feature performers such as The Fray, James Taylor, Widespread Panic, The Avett Brothers, Train, Jack Johnson, and Alabama. Other special events occur here such as an Easter sunrise service, dance festivals, art exhibits, and even yoga on the rocks. The Trading Post offers unique souvenirs and the Ship Rock Grille offers delicious food and beautiful scenery. This amazing facility amongst such natural beauty makes Red Rocks Park and Amphitheatre a true gem. An investment in real estate near Golden will allow you to experience this place, among many others, and wow all of your out of town guests. If the natural beauty of this area of Colorado wasn't enough, how cool does it sound to own a Golden home near an Alpine slide? I got a smile on my face just thinking about taking a ride down the slide. I have ridden on a few and each one took me to a different place in my imagination. One slide made me feel like I was an Ewok in Star Wars, another made me feel like I was yodeling in the Alps. Where will the Heritage Square Alpine Slide take you? Leave your Golden home for a grand adventure. Open weekends starting April 19th from 11:00 am until 5:00 pm and open daily from 10:00 am until 5:00 pm Memorial Day through Labor Day. Purchase tickets for a single ride for $8.00 for adults and $5.00 for children 6 and under, or purchase several rides at a time to receive a discount. Group rates are also available. 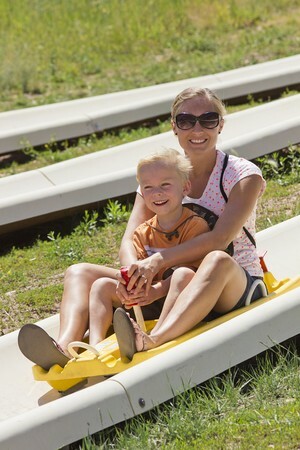 The Alpine Slide is just one attraction at Heritage Square Family Entertainment Village. There are many rides, thrills, shops, and restaurants to create special memories with loved ones. See what owning a Golden home has to offer you, it is sure not to disappoint. Click here to get more details. One of the many benefits of owning an Arvada home is the proximity to the Arvada Center for the Arts and Humanities. This award winning facility opened in 1976 and has grown to become one of our country's largest centers devoted to all aspects of the Arts. Come and enjoy a show in the theater, listen to some music during the Summer Stage Concert Series, feast your eyes upon one of the many fine art exhibits, or take a class to learn something new. Those owning an Arvada home have access to over 600 courses per year. 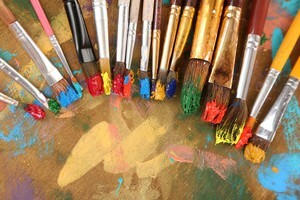 Choose from dance, performing arts, music, ceramics, visual arts, and humanities. The facility is equipped with eleven classrooms and studios and offers classes for all ages. Few communities have access to programs, concerts, art exhibits, and classes all in one place. The Arvada Center also has top notch spaces for weddings, meetings, special events, and golf. It is truly an all-encompassing facility dedicated to the arts. Purchasing an Arvada home would be a great investment for any family interested in the Arts. It will open up many opportunities to experience the finer things in life, create special memories with loved ones, and to get lost in your own imagination. Click here to learn more.